This is the fifth year since all St. Petersburg schools have been holding "Lessons of Kindness" - the first stage of the Children's Hospice charity event "White Flower". At these lessons students make white flowers for the event by their own hands. On June 1, Children's Hospice volunteers give them to the city residents in exchange for a donation to help children with serious illnesses. The "Lessons of Kindness" give the students not only the opportunity to make a certain good deed, but also provide an occasion to raise important questions: What is kindness? Why is it important to help your close ones? How can each of us participate in works of charity? On May 19, a “Lesson of Kindness" took place at the gymnasium No 177 of St. Petersburg. Second grade students were glad to perform all tasks of the teacher connected with the theme of the lesson: They searched for associations to the word "kindness", learned to distinguish good fairy tales characters from evil ones, looked for simple ways to do a good deed - for example, to help an old lady cross the street, find new owners for a homeless animal, remove rubbish in the forest, make a gift to a friend. There were poems and songs dedicated to the theme of kindness. It was noticeable that these were not just words for the children, but a real philosophy of life which they have determined to follow. No one can teach kindness to adults as well as children can. At a "Lesson of Kindness", students taught the guests - director of the St. Petersburg Children's Hospice Archpriest Alexander Tkachenko and "SKA-1946" youth hockey team players - not only to do good things, but also to make paper white flowers. In the morning the kids mastered making a full basket of flowers and became real experts in this handicraft even before the beginning of the open lesson. The “Lesson of Kindness" ended in a cheerful bustle - everyone wanted to get an autograph and take pictures with a real hockey player. In total, St. Petersburg pupils made within the "Lessons of Kindness" more than 80 thousand flowers for the event "White Flower". On April 11, St. Petersburg Children's Hospice was visited by Two-Time World Champion in the classic checkers, World Champion in the fast and lightning fast checkers, European Champion in lightning fast checkers Sergey Belosheyev. Many Children's Hospice patients had impatiently awaited the meeting with Sergei, since many parents and staff members are checkers fans and they gladly responded to the opportunity to fight with the Grandmaster. Sergey began the event with a master-class: on a magnetic board he showed the children the most interesting combinations and etudes, explained common mistakes that beginners make, and ways to avoid them. Then he gave a simultaneous exhibition on eight boards with children, parents and staff of the hospice. Playing with the kids, Sergey commented on his actions, prompting them to coups and drew attention to mistakes; the battle with adults was serious. Everyone had pleasure, although it was difficult to maintain the lightning fast pace of the game, set by the GM. Ten-year old sisters Lisa and Vika unexpectedly challenged Sergei. Since early childhood both have engaged in checkers. Vika is now the champion of elementary school, Lisa has the second place. Talent, tenacity and concentration allowed Lisa to win against GM, and Vika ended in a tie. Sergey helped the girls with advice, but it was noticeable that he had worthy rivals. At the end of the meeting, Sergey recommended proper training literature, was photographed with children for lasting memory and presented gifts - checkers sets and checkers boards with his autograph. Children's Hospice is grateful to all the organizers and personally to Sergei Belosheyev for the meeting which was full of excitement and new discoveries! In 2014, the Government of St. Petersburg allotted a building in the city of Pavlovsk to the Medical Institution "Children's Hospice" for gratuitous use in order to accommodate there an inpatient palliative care facility for children with incurable diseases, residing in the territory of the Leningrad region. The building is located in one of the most beautiful places of St. Petersburg, on the territory of the "Mariental" park near the palace of Emperor Paul I. The building with the area of 662 square meters was until recently used as a boiler room. At the moment, the building is in a dilapidated condition; load-bearing walls and floors need to be strengthened and dried out. The Medical Institution "Children's Hospice" decided to restore the building while maintaining its historical appearance. The architectural renovation plan has already been completed; it assumes that the building will house nine double wards, a medical unit, a living room, a dining room, a playroom and rooms for classes with children as well as a winter garden and an accessible roof area with a terrace. Currently, engineering solutions for the building are being prepared and landscaping of the surrounding territory is being performed. It is planned that construction works will begin in the summer of 2016. The Medical Institution "Children's Hospice" managed to raise79 million rubles for the renovation and equipment of the building. 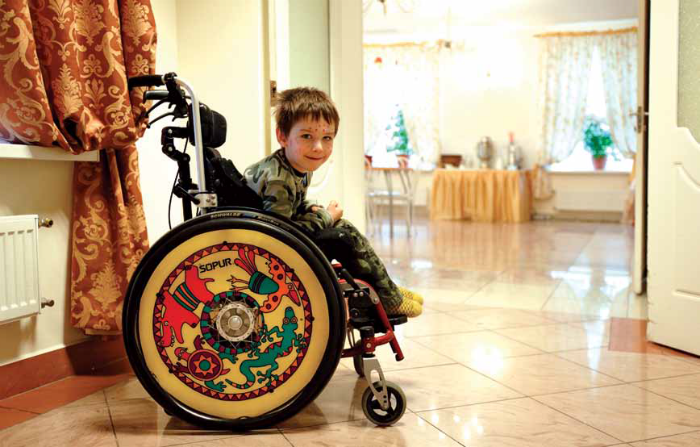 The home-based service of the Medical Institution "Children's Hospice" has been acting in the Leningrad region since 2006. Every year it performs more than 500 visits and cares concurrently for a minimum of 50 families. The opening of the stationary hospice will allow providing the seriously ill children in the Leningrad region not only with medical care, but also with needed psychological, social and spiritual support. Preparations for opening a children's hospice in the Moscow region are being carried out with vigor. It will be the second stationary state children's hospice in Russia. The first one was the State Autonomous Healthcare Institution "Children's Hospice" established in 2010 in St. Petersburg. In June 2013, on the basis of the decision of the Moscow Region Government, the Medical Institution “Children’s Hospice” was allotted free of charge the Przewalski's manor in the city of Domodedovo to renovate the building and accommodate an institution of pediatric palliative care in it. The historic building was built in the 1820s. From 1882 to 1917, it belonged to the brother of the famous traveler and geographer Nikolai Mikhailovich Przewalski. After the October Revolution 1917, the estate was nationalized and gradually began to ruin. Currently, the Medical Institution "Children's Hospice" carries out reconstruction of the building while maintaining its historical appearance. Strengthening of the foundations and restoration of the facade elements are completed; the roof is mounted. Works on thermal insulation of the building, connection to public utility networks and finishing the interiors are going on. Opening of the Children's Hospice of the Moscow region is scheduled for mid-2016. The Moscow region Government pays great attention to the development of the palliative care system in the region. The Ministry of Health of the Moscow Region has been working on the formation of the legal documentation, staffing, and calculating the cost of the public services needed to open the institution. St. Petersburg Children's Hospice renders methodological assistance to the Region Government in preparing the documents. 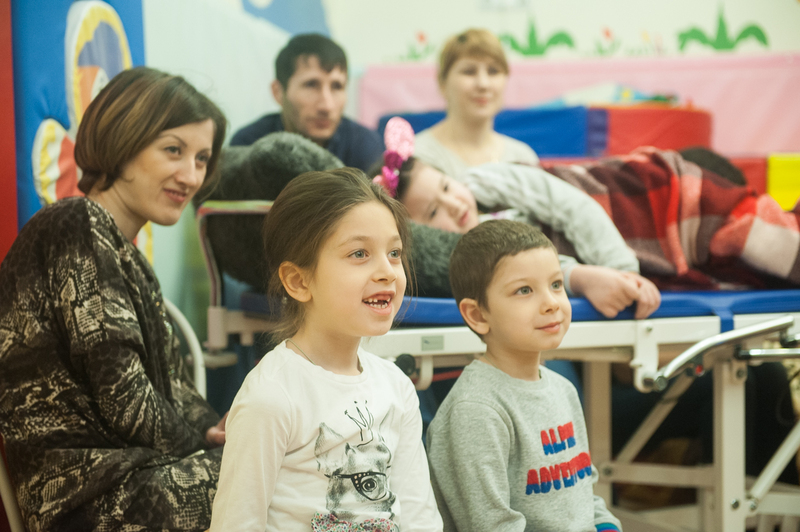 Opening the Children's Hospice Facility designed for 10 beds and launching a home-based palliative care service will significantly improve the quality of life for children with serious illnesses who live in the Moscow region. The Hospice will provide them with medical support as well as psychological, social and spiritual assistance. 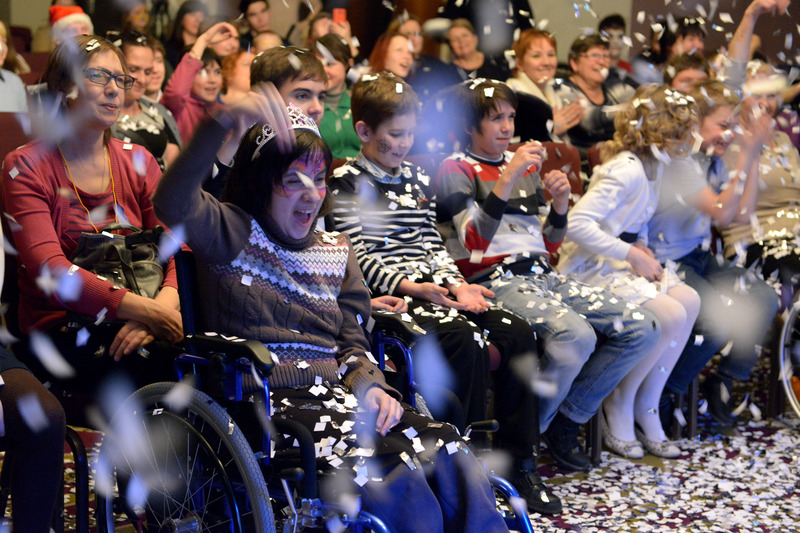 The "Dreams Come True" Project has fulfilled by the New Year 189 cherished wishes of children with serious illnesses. 75 gifts are waiting for their new owners, and 72 dreams are still looking for a "good magician". All children are different and dream about different things. Dreams of the seven-year old Lisa and the eight-year old Sasha have coincided: the kids really desired to take part in a cooking master class. Lisa turned out to be not a beginner in this issue: recently she attended a similar event and wanted to repeat the unforgettable experience. Sasha has also long learned to cook at home. In the future, he dreams of becoming a professional chef - such as his grandmother. Master class on cooking pizza for Sasha and Lisa was led by a real Italian, a chef at "Arancino" Pizzeria The children learned how to distribute the dough evenly and choose the ingredients in exact proportion. Then, the kids treated all those present with a self-made delicious pizza. Every year on the eve of New Year holidays, St. Petersburg Children's Hospice appeals to the citizens of St. Petersburg with a call to fulfill dreams of children with serious illnesses: patients of the hospice and city hospitals. All children, regardless of age and health condition, like to dream. They dream of a new book, a toy, or a computer, of a trip to an unusual place, of meeting with an interesting person. They dream of a holiday, which would come into their lives and make it brighter. Thinking about the future, the children are hoping that the disease would not become an obstacle to the implementation of their cherished desires. Fulfilling a Dream can help a child fight the disease, give him hope, give confidence that he is not alone. We are able to make the approaching New Year very special for every child again. All dreams are published on the site of the project. Two cherished dreams have already been fulfilled within the project. Pavel and Ivan C., who are fond of football since their childhood, went out together with their favorite team “Zenith” onto the soccer field before beginning of the match paired with their favorite players: Pavel with the “Zenith” striker Artem Dzyuba, Ivan with the team captain Danny. Full of impressions, the brothers stayed to watch the match and got great pleasure from the game. Katya C. has been interested in cinema for a long time and very much wanted to get an autograph of the actor Pavel Priluchny. The actor has decided not just to please the girl with a simple autograph, but to send her a personal video message. Greetings and New Year wishes from Pavel pleased Katya very much and, hopefully, gave her strength to continue her difficult treatment. Mikhail Porechenkov, Honored Artist of Russia, Goodwill Ambassador for Children's Hospice: I believe that helping others can show the best in a person and give him much more than he gives himself. Remember the magical feeling you experienced as a child when wondering what gifts you’ll find under the Christmas tree? The “Dreams Come True" Project enables each of us to give this feeling to a seriously ill child. His smile will be the best reward for all who are willing to express themselves in charity. The participants of the congress included the representatives of executive and legislative powers, managers and employees of state health care and welfare institutions, palliative care specialists, and representatives of the academic community from more than 40 regions of Russian Federation. 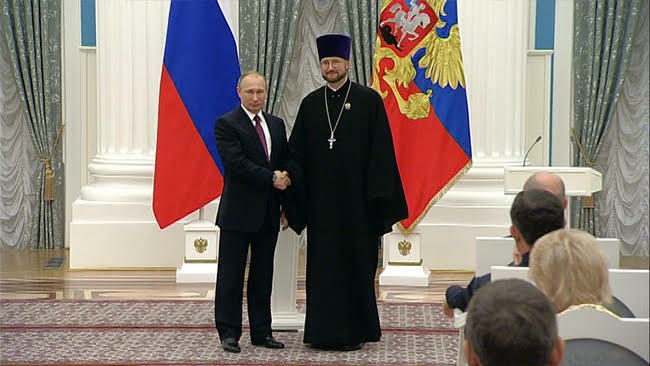 The founder of the Children’s Hospice archpriest Aleksandr Tkachenko dedicated his speech at the first plenary meeting of the Congress to the options of social partnership of state, NCOs and business in developing palliative care for children in Russia. 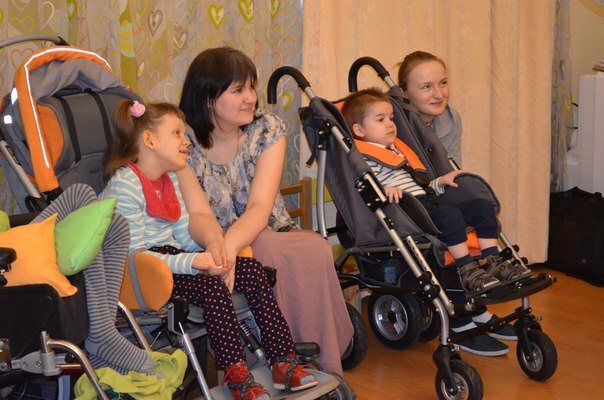 The participants of the Congress visited the Saint Petersburg Children’s Hospice and participated in the discussion on practical aspects of the work of a children’s palliative care institution. Igor Kagramanyan, first deputy Health Minister of Russian Federation: As a part of the development of the national pediatrics, we started expanding the new but extremely important field of palliative care. With a view to creating optimal conditions for children with incurable diseases as well as help to family members in circumstances of an incurable disease of a child, the state Healthcare Development program provides for creation of 500 children’s palliative care hospital beds by 2018. St. Petersburg Children's Hospice was visited by Diana Gurtskaya – a singer and social activist, a member of the Public Chamber of the Russian Federation, Chairman of the Commission on the support of family, children and motherhood. Diana was accompanied by members of the Federation Council and representatives of charitable organizations. Diana Gurtskaya performed a concert for children and their parents, talked to hospice patients and took part in a photo shoot. Founder of the Children's Hospice, Archpriest Alexander Tkachenko, conducted a guest tour of Russia's first stationary state institution of children's palliative care. The meeting participants discussed current problems and development prospects of palliative care for children in Russia. Father Alexander turned to the children's hospice guests with words of gratitude: "In order to live, a man should be able to dream. Sometimes, there are difficult moments in life, when it seems that clouds have swooped in and it only rains. But we should continue to believe that there is a blue sky behind these clouds. It is very important when there are people who can support the faith in you. 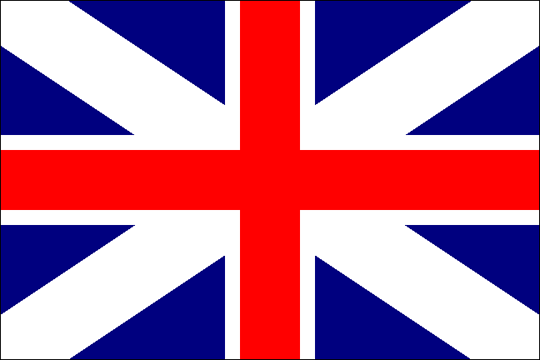 Today you have come to us and supported us in the faith. Thank you "- he said. At the end of her visit, Diana Gurtskaya agreed to accept the status of a Goodwill Ambassador for Children's Hospice and promote further development of palliative care for children in all regions of the country. Учредительные документы медицинского учреждения "Детский хоспис"